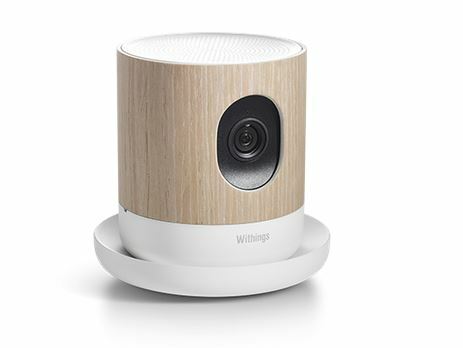 Withings Home Monitoring system: Like nothing you've seen. There’s no doubt that we are entering the era of the connected home. Products like the Belkin WeMo, WiFi slow cooker and Apple’s rollout of HomeKit just scratch the surface of the influx of technology we expect in the coming year to help with running your home efficiently. And remotely. Withings Home is yet another very cool example of that. 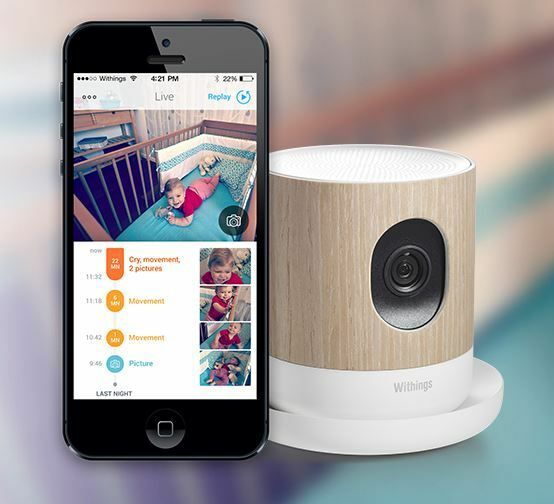 Withings Home is a soon-to-be released monitoring platform that does everything from act as a security camera to alert you to environmental toxins in the air. All in one little device. And a beautiful device at that, which looks more like a mantle piece than a monitoring system. This system keeps its eyes on everything in its line of sight, so it can record, monitor and alert you to any activity you specify. You can customize these alerts, kind of like the Presence app, but it’s much more sophisticated. If you put it in the nursery, you can receive alerts when it detects movements or a baby crying. If you put it in the living room, you can watch the new puppy lounging on the couch where he’s not supposed to be, while you’re at work. There’s even super high tech facial detection technology that recognizes your daughter walking through the front door which might be the most amazing feature of all. And that mention about air quality? Yes, it tracks that too, and amazingly, it can sense any potentially hazardous airborne particles to alert you to Volatile Organic Compound (VOC) levels in the house, which are those usually emitted by building materials or cleaning agents. In other words if you accidentally leave the cap off of a bleach bottle, Withings Home will let you know. Pretty incredible. 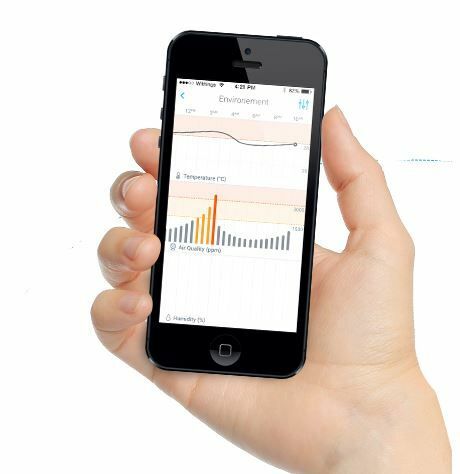 Not only does it monitor all of this in real-time, it captures the data and logs a Home Diary. Any time an event is detected, it will take a photo and record five seconds of video, which is then stored in the cloud. This diary can be accessed from your mobile phone to see the chronology of all the goings-on. Incredible technology. And it doesn’t feel as Big Brother-y as Mother does; just a beautiful and modern way to keep track of your home. Fresh air and all. There is no launch date yet for Withings Home, so we’ll be sure to keep our eye out for when it does become available. You can sign up at the website to be notified as well. The product will sell for $219.95.